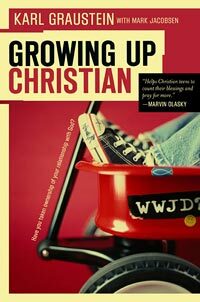 Growing Up Christian: Is God Real? A few years ago I have had two different conversations with two different teenagers in which they each expressed their occasional doubt that God really exists. The first conversation was with a girl in her early teens. She told me that when she is going through tough times or trials she knows her need for help and turns to God. But when things are going well she begins to wonder if God really does exist and if she really needs help. The second conversation was with a boy in his early teens. He expressed the opposite. He said that in hard times and struggles he wonders if God really exists. In trials he questions why God would seemingly abandon him and not look out for him or his family. But when times are better he believes God is real and working in his life. Can you relate to either one of these teens? In many ways I can relate to both of them. I have been caught up in the good and the many blessings of life and have forgotten about God and failed to recognize he is the source of all good. I have also been discouraged in trials and hard times and wondered if God exists and cares for me. Yet God is real, active, and fully aware of every one of my circumstances. My emotions and feelings may change according to my changing situations, but God is unchanging. My pride grows in good times, and I focus on myself instead of my God. My self-pity increases in hard times, and I focus on myself instead of my God. The other reality is that in this life we only see in part. We do not see all of God’s actions, purposes, or ways. We do not always know how he works all circumstances for good for the Christian (Romans 8:28). We do not always understand how his ways are higher than our ways and his thoughts higher than our thoughts (Isaiah 55:9). Prepare yourself today to have the right view of God in both the good and the bad that you will face in life. He is real, he is powerful, he is ever-present, he is good, he is just, and he is with you. Knowing these truths will help you praise him in the time of blessing and trust him in times of trials.